At many other clinics, even here in the United States, Physician Assistants, Technicians as well as untrained and unlicensed medical personal are doing the FUE Extractions and harvesting for the procedures. Not your hair restoration surgeon. At Alvi Armani, all FUE harvesting is personally done by Dr. Baubac Hayatdavoudi to ensure the survival of each single graft in order to provide you with the ideal outcome for your procedure. Read more about: Why Dr. Baubac does all his own FUE Harvesting? Dr. Baubac has over ten years’ experience performing FUE Hair Transplants. He is renowned for his expertise and experience in follicular unit extraction (FUE) hair transplantation, and is best known in the industry for his natural looking hairline hair restorations, as well as his high ethical, clinical, and artistic standards of excellence. Dr. Baubac Hayatdavoudi is a member of the International Alliance of Hair Restoration Surgeons (IAHRS), and is recommended by The American Hair Loss Association (AHLA). Dr. Baubac is a Board Certified Diplomate of the American Board of Hair Restoration Surgery (ABHRS). The American Board of Hair Restoration Surgery (ABHRS) is internationally recognized as the only board certification focusing on hair restoration surgery for physicians worldwide. Dr. Baubac Hayatdavoudi was recognized as the #1 Hair Restoration surgeon in America in 2015 by Aesthetic Everything’s Top 10 list in its annual national survey. Dr. Baubac is a two time winner of the Consumer Choice Award. The Consumer Choice Award has long been considered a business seal of excellence and is awarded to those who exemplify superior customer service, integrity, professionalism and to those who have earned the trust and loyalty of consumers. 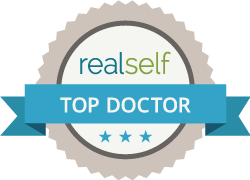 Dr. Baubac is recommended by Joe Tillman, The Hair Transplant Mentor™, a trusted source in the hair transplant industry worldwide.